I received a letter to shut off for October 28, 2017 even though I sent a letter certified mail on 10/11/17. What now? Kathy, You will need to make some choices. One choice would be to get a generator and/or solar panels and go off grid permanently, which a fair number of us have done. If that isn’t going to work for you then you need to understand that the utility WILL shutoff your power unless you (a) remove any lock you may have on your meter, and (b) agree not to hinder them in the installation of a smart meter. If you are electrosensitive you may need to take steps to protect yourself from your new smart meter. Placing a shield made of aluminum window screen material between you and the meter can help. If you are going to do this we recommend purchasing a handheld radio frequency meter such as the Cornet ED88T which you can obtain from smartmeters.org. This will help you to know if your shield is working or you need to do more. The utility will offer you an ‘optout’ meter (for a monthly fee) but this does nothing to eliminate the dirty electricity the meter will put on your wiring. 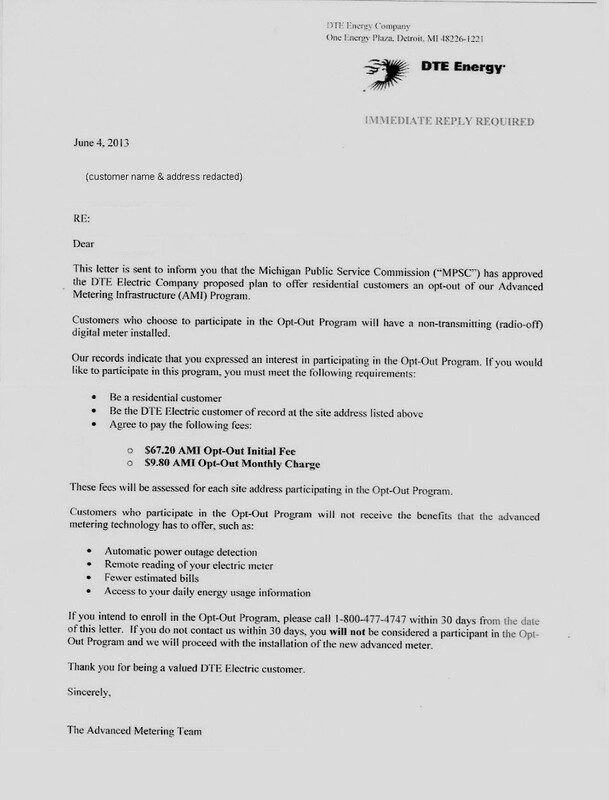 Since this is not a real opt-out we are not recommending anyone pay the extra money for this. The other thing you can do is turn off circuit breakers at night for bedroom circuits, to get a better nights sleep.